DAET, Camarines Norte 2/6/17 (Bicol Standard)—Governor Edgardo Tallado has announced the resumption of the regular barangay visitations dubbed as Multi-Services Caravan of the Province of Camarines Norte. 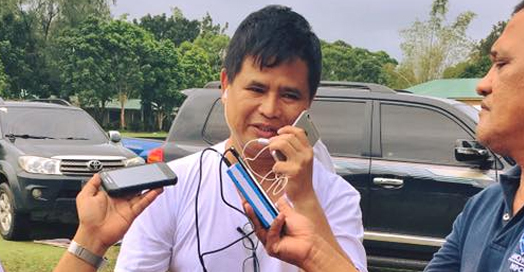 In a news release over the weekend, Tallado said that after few months of rest, he had instructed Caravan Director Boy Reyes to coordinate with the Punong Barangays of the municipalities that will be visited by their team. As per schedule, the the next target barangays for the Multi-Services Caravan will be the residents of Sula, Sabang and Aguit-it, all of the town of Vinzons. The residents of the said barangays who want avail of the medical and dental checkup and the other services during the caravan are advised to proceed to their Covered Courts. As expected the members of the team will be ready to serve the people as early as 7:30 a.m. Meanwhile, on February 10, the Caravan will move to the town of Mercedes. The following barangays will be the next target, namely: San Roque, Barangay 2 and Barangay 7. It will be recalled that the Provincial Multi-Services Caravan is one of the pet projects of Gov. Tallado when he assumed as Chief Executive of this province. men, rebond for women, free slippers and distribution of farm animals. Included in his team are medical doctors, dentists, nurses and other volunteers who want to offer their time and services for the benefit of the barangay residents. Vice Governor Jonah Pimentel and some members of the Sangguniang Panlalawigan are also expected to join the caravan, including Provincial Administrator Alvin Tallado and Mrs. Josie Tallado who have been part of this project since its inception.